Jan 16, 2019 in "Epcot International Flower and Garden Festival"
Disney has today released a few more details on its plans for the 90 day 2019 Epcot International Flower and Garden Festival, which reaches its 26th year. A new Bo Peep and her Sheep topiary from Disney•Pixar’s upcoming “Toy Story 4” will greet guests at the festival’s new Family Play Zone. Featured gardens will focus on butterflies, bamboo and Shakespeare’s metaphoric plants, while more than 70 Disney-themed topiaries – from Snow White to Daisy Duck – will be featured throughout Epcot. New Outdoor Kitchens with their own herb and veggie gardens will debut this year with creative bites and beverages. The Garden Rocks Concert Series expands this year to every day of the festival, offering new and returning acts spanning multiple genres. Returning favorites like The Spinners and Herman’s Hermits starring Peter Noone will be joined by artists new to the festival like TobyMac, Steven Curtis Chapman and Colin Hay of Men at Work. 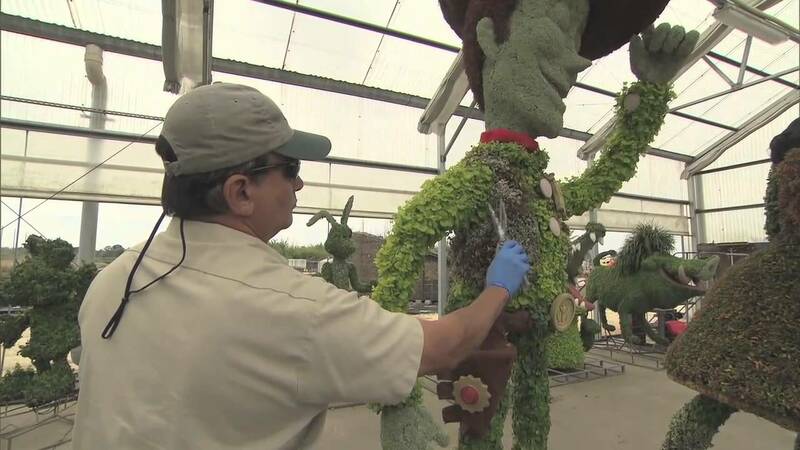 The 2019 Epcot International Flower and Garden Festival will take place March 6 to June 3 2019 at Walt Disney World.